As businesses are shifting towards electronic mediums for distributing their products worldwide, the need for payment gateways have grown further. The need for proper transportation/courier services and payment gateways have become essential tools for businesses all over the world. A payment gateway is a merchant who acts as a secure service provider that processes payments of clients/customers through their credit cards to the accounts of sellers. Today, these payment gateways have a vital role in the E-commerce industry. A few of the most popular payment gateways are PayPal, Square and Stripe. People have already been using the services of payment processors, however, both are different in nature. Payments through gateways are much more secure because payment gateways have multiple benefits over other payment systems. Being encrypted makes the data more secure. The browser of the customer sends the data of the card in an encrypted form to the vendor’s web server. Later, the gateway sends the transaction information back to the payment processor of the seller’s bank. 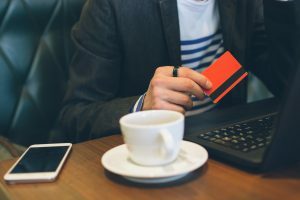 The payment processor sends the data of the transaction to the credit card company and then the request is approved or declined by the bank’s authorities. The order is accepted or declined by bank authorities depending on the availability of the balance and bank’s facilities. As soon as the gateway gets the response from the bank and vendor, it is transmitted to the website’s payment process interface. After this process, the merchant fills the order and the order is confirmed. Although this process seems to be long, it takes fractions of a second. 2. Is the Payment Method Secure? 3. Is it Enriching your Customer Service Experience? Modern payment gateway systems are more user-friendly and enrich the experience of customers. These modern payment gateways do not require merchant accounts for clearing payments. However, they are much more expensive and the transaction cost is even higher. The classic payment gateway is much cheaper but it is more of a hassle. It takes longer to set up and it often performs slower. Payment methods can be hosted on your own servers as an integrated medium or it can be hosted off-site. If you have opted for off-site hosting, you are free from the hassle of data security and PCI compliance. Integrated gateways are connected to your e-commerce website through API and the customer doesn’t need to leave your main store for the payment process. This makes the process more smooth and easy. If you are running a business that is offering recurring subscriptions, you should consider a gateway which is offering your customers the similar features of recurring payments. Manually paying every month will be a huge deal for your customers. If you are starting up a new venture, you should not hesitate in starting with a small package. A small package can offer you the best insight as you can learn what you prefer and later switch to a more modern or integrated payment gateway system.